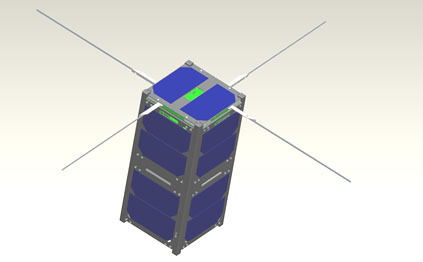 It was announced during the QB50 presentation at the AMSAT-UK International Space Colloquium that two CubeSats, one carrying a linear transponder for SSB/CW, the other a FM voice transponder, should be launched into a 600 km orbit in the first half of 2014. 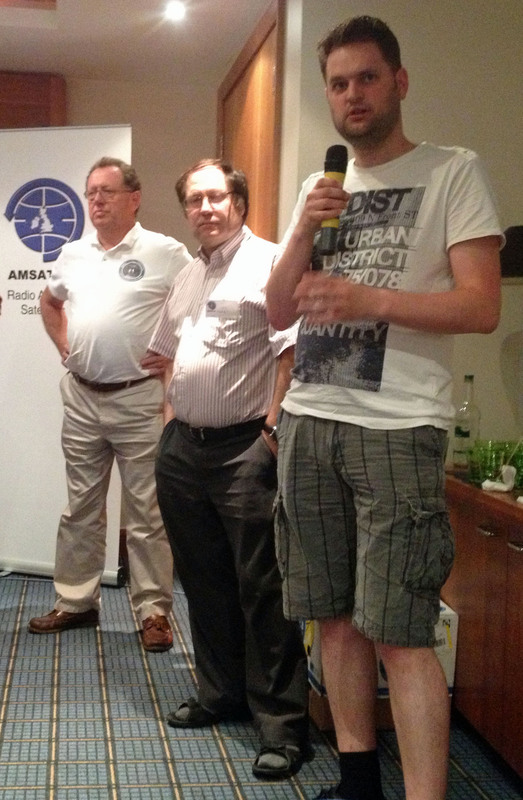 The QB50 project team has announced that on July 19, 2013 they signed a Memorandum of Understanding with AMSAT-UK, AMSAT-Francophone, and AMSAT-NL to enable two amateur radio payloads to fly on two 2-Unit CubeSats in the first half of 2014. These precursor CubeSats, which have still to be named, will be placed into a conventional 600 km 98o orbit in advance of the main mission. This allows for the testing of key satellite and payload components ahead of the full QB50 mission. In addition, the precursor mission allows for experimentation and validation of operational concept of the QB50 mission. Next to these objectives the amateur radio payloads will be operated as well. At the beginning of the mission, the various payloads onboard the spacecraft will be operated in an alternating fashion, whilst the amateur radio payloads will be operated as the primary payload of the spacecraft once all QB50 related experimentation has been concluded. The main mission of QB50 has the scientific objective to study in situ the temporal and spatial variations of a number of key constituents and parameters in the lower thermosphere (90-320 km) with a network of about 40 double and 10 triple CubeSats. These, university built, CubeSats will be launched into a 320km circular orbit, will be separated by a few hundred kilometres and carry identical science sensors. The sensors will monitor parameters that will greatly increase our knowledge and understanding of this little explored region of the E and F layers of the Ionosphere. QB50 will also study the re-entry process by measuring a number of key parameters during re-entry and by comparing predicted and actual CubeSat trajectories and orbital lifetimes. The AMSAT-Francophone (AMSAT-F) payload for one of the satellites will be a U/V (435/145 MHz) FM transponder. It will also transmit FX25 telemetry at 9600 bps. 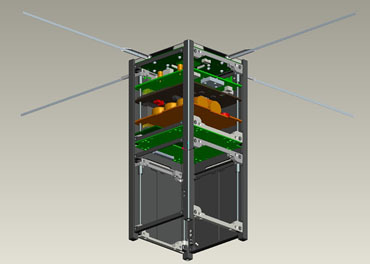 This secondary payload will be also used in several satellites in the main constellation as their main receiver and transmitter. The AMSAT-NL payload, on the other precursor satellite, will incorporate a linear U/V transponder core. The QB50 spacecraft in the main, short duration, mission will, generally, have downlinks operating on frequencies in the 435-438 MHz Amateur Satellite Service allocation and some are expected to use 2.4 GHz. They will be notified to the ITU as a Belgian network after having been coordinated by the IARU Frequency Coordination Panel. Some of these will also, on occasions, act as FM voice relays during their missions.